Your House Needs the Right Touch. Does the paint job on your commercial building properly reflect what you are trying to communicate about your business? Does it protect your investment? Commercial and industrial painting is not simply creating pleasing aesthetics. The purpose is to also provide a protective finish to prevent expensive damage to your property or business. We are aware of health concerns and recognize the importance of a healthy environment. “Green” painting is better for your employees and customers because no toxic chemicals are released into the atmosphere. Interior painting of a commercial building involves an essential function: protection from use and abuse caused by high volume traffic. Whether it’s new construction or breathing new life into an older building, we have the tools and expertise to deliver outstanding results. Ours is a full service painting contractor, serving the needs of large and small businesses . We have the capabilities to paint any building, interior or exterior—even the hardest to reach places. We have the products and the people to paint any type of surface including steel, wood, concrete, block walls, concrete foundations, and finished dry wall. Proper preparation can make the difference between good or superior results. 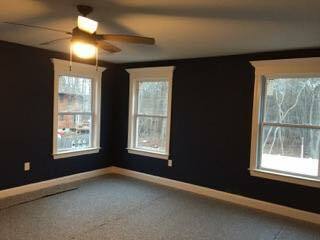 Contact us today at (732) 503-6259 for all of your commercial painting needs. We serve Ocean County and Monmouth County.